Did you know that the bluebell was voted as Britain’s favourite flower? We are lucky in this country to have access to some wonderful woodlands where you can see bluebells (Hyacinthoides non-scripta) in full bloom in the wild. 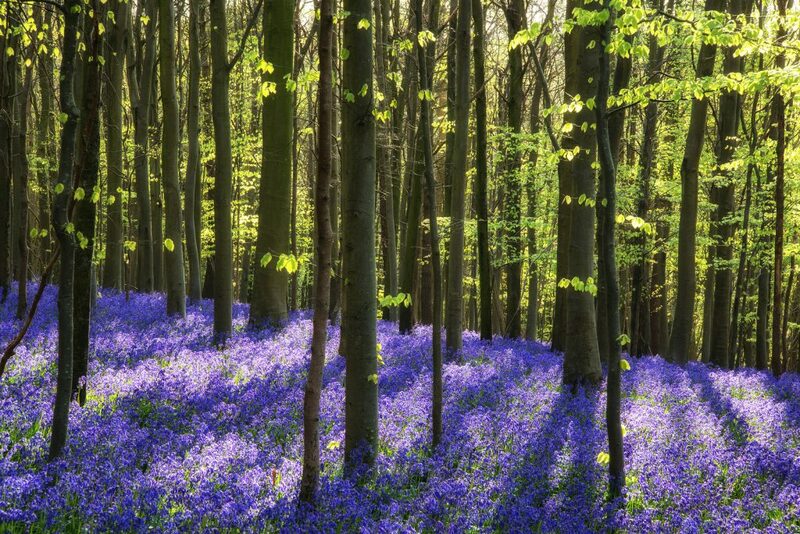 Around half of the world’s bluebells grow here in the UK. Most bluebells are found in ancient woodland where the rich habitat supports a whole host of species. Ancient woodland includes woods from the 17th century and some may even be remnants of the original wildwood that covered Britain after the last Ice Age. The best time to see bluebells in the UK is between mid-April and May. They usually bloom in the south first, slowly spreading to the north as spring progresses. Bluebells are a protected species so please don’t pick them! ← New £1 coin arriving soon – are you ready?